Based on our ACM/A Series grinding machine, the ACM/B series grinders are part of our patented new generation innovative products (China Patent Registration No.ZL02268432.9). 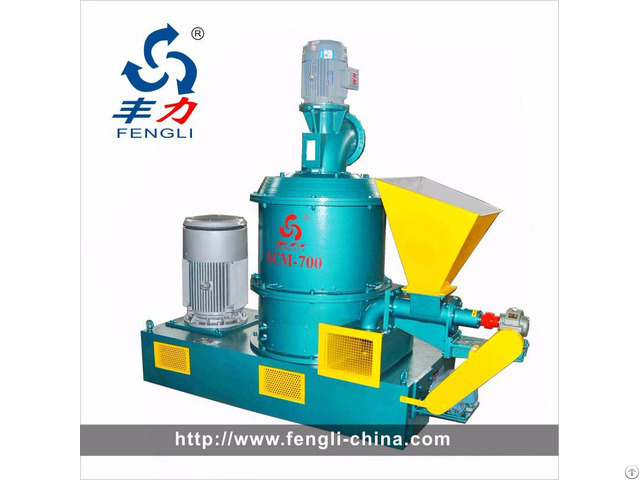 The machine is suitable for super-fine grinding of brittle materials. Materials are sucked into the grinder by a pressure differential created by the blower(s) within the system, thus successfully resolving the problems faced by punchaction grinders such as difficulties in grinding large but low-density materials. 1. 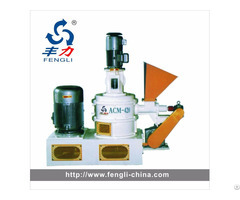 Built-in separtion mechanism, product fineness can be adjusted according to needs-preventing over grinding. 2. Excellent for grinding materials that are large in size but low in density, such as AC foaming agents (d97=5μm), white carbon blacks, camphor powder etc. 3. Multilayered multiple grinding accessories/devices, high operational efficiency capable of achineving excellent product fineness and consistent granule sizes. 4. 40-50% energy savings, as compared with air-stream grinding machines for equivalent fineness and production volume. The machine is suitable for grinding materials that are large in size but low in density. It is widely in the chemical industry (such as for grinding AC foaming agents), as well as agro-chemical, dyestuffs, foodstuffs, non-metallic mineral industries. Different materials such as alloyed carbon steel, stainless steel etc. can be used for the machine's main inner linings, "whirlwind" separator device, dust remover and system, depending on the industry. 1. Our design idea is market-oriented and its goal is to increase customers’ satisfaction. Design according to the customers’ special requires. Achieve the perfect combination of rational investment and lower cost. 2. According to related national standard strictly, we guarantee stable and reliable product quality with superb technique and technology. 3. 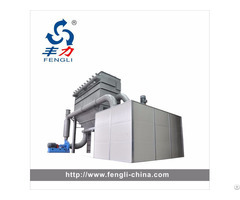 Control the production and examination of the parts and the whole machine strictly. 4. 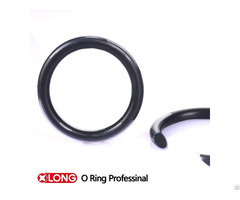 The period of quality guarantee of the equipment is one year, but the whole machine is maintained for whole life. If we receive complaint from customers, we will respond immediately. And if necessary, we will send someone to the field at once. 5. When technical breakthrough and improvement happen, we will do the correction and upgrade for customers with cost price only if customers will. 6. Supply the blueprint of the product line and equipment details for free.